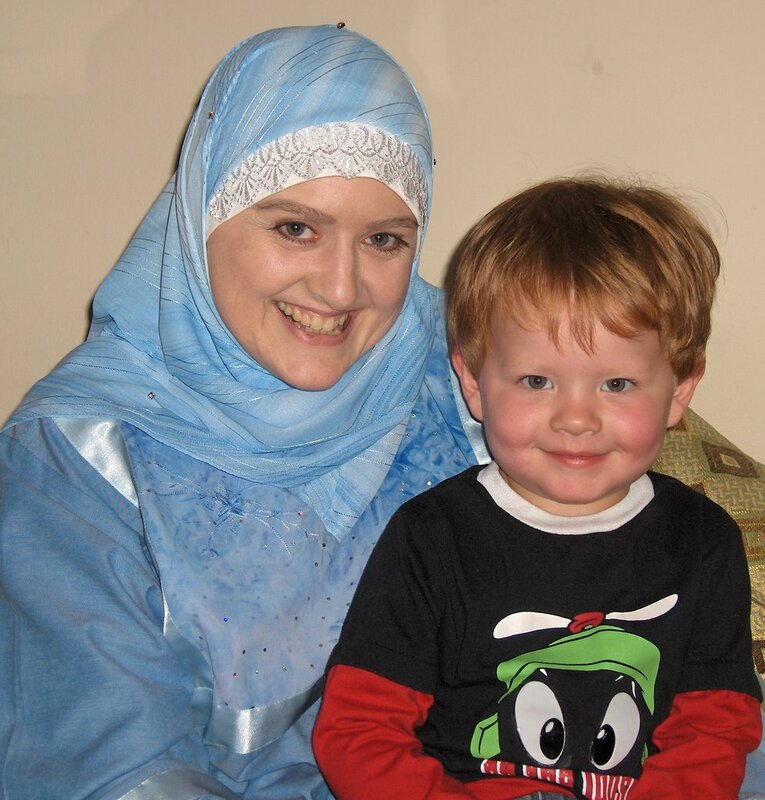 Well, last September before departing on my journey to Egypt, I got to visit my daughters and grandson. Actually, the visit turned into a regular little family reunion of sorts as it happened that I also got to see my sister, my younger brother and my mother. Al-hamdulillah. New digital camera in hand, clicking commenced. "Smile!" Then came the review. How in the world it turned out that I had pictures of my grandson with everyone but myself I couldn't tell you, but the realization hit with a thud. Returning from Egypt 8 months later, I had several goals in mind...one of which was to make a point of having a snapshot of my grandson with his gramma! And what better way to accomplish that goal than to keep him with me for the week after my daughter came to visit this past Sunday. What a treat! 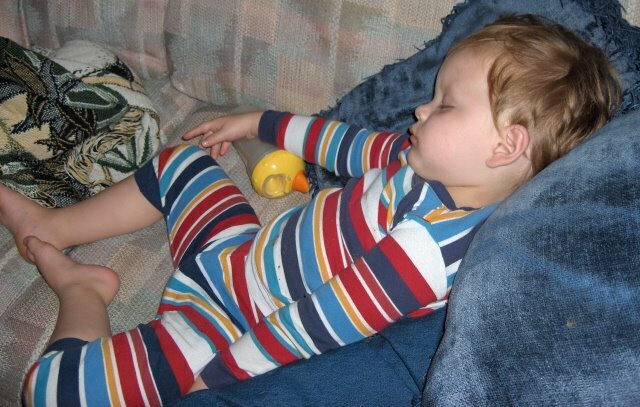 The week has passed quickly, and my little buddy is laying sprawled out beside me on the sofa at this very minute - in his yellow, blue, white, and purple striped p.j. 's - freshly bathed, cookies and milk tucked away in his little tummy - sound asleep. Subhan'Allah. Al-hamdulillah for grandchildren. InshaAllah you'll have a great week together! I say, you have such a pretty grandson! Mashallah, he's a real beauty!